Roof cleaning is a very dangerous job, and if you are looking for roof cleaning services in Florence, SC, then you need to go with the most experienced contractor you can find in the area. That contractor is Clean Finish, Florence’s leading pressure washing and roof cleaning company. We use a low pressure system to safely remove all mold, algae, fungi, leaves and grime from your roof to give it a bright, clean new shine and look. The black streaks and mold on your roof is actually damaging the very foundation of your roof, eating away at the protective layer on your roof’s shingles, which could eventually cause major damage to not just your roof but your entire house as well. Some contractors use high pressure, which should never be used to clean roofs, and end up costing you the homeowner thousands of dollars in unnecessary repairs if you go with the right company. Our soft pressure cleaning system prevents that, and we also have a $1 million insurance policy, so you can be rest assured with peace of mind that you are in good hands when you go with Clean Finish as your Florence roof cleaner. Why Get Your Roof Cleaned in the First Place? There are so many benefits that you get when you have your roof cleaned by a professional, experienced contractor. For one, dirty roofs are literally covered in algae, grime, mold, and other nasty particles that are damaging to your roof’s lifespan and the health of your surrounding environment. Ridding your roof of all of these particles will add 5 years or more to the life of your roof, saving you thousands in repair costs alone. One more great reason is that a dirty roof is an eyesore to your home, and getting it cleaned can greatly enhance the appearance of your entire property. 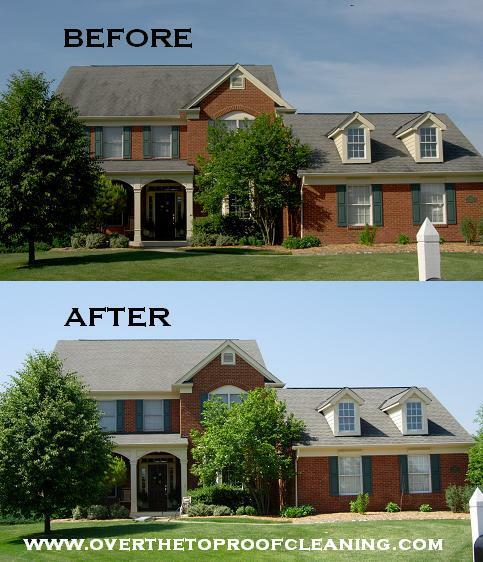 Make your home the envy of friends, family, and the whole neighborhood with a sparkling, clean, new looking roof! Start your roof cleaning in Florence now by giving Clean Finish a call now at 803-229-2732 or by emailing us at west@clean-finish.com for a free, no obligation quote.